COMMENTS: normal series since 1962. Serial of one letter and four numerals since 1979. Optional blue band with letters TR since 1996. 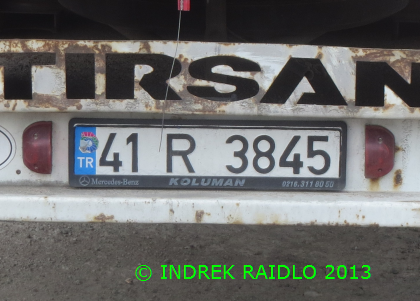 41=Kocaeli. COMMENTS: normal series since 1962. Serial of one letter and five numerals since 2003. Optional blue band with letters TR since 1996. 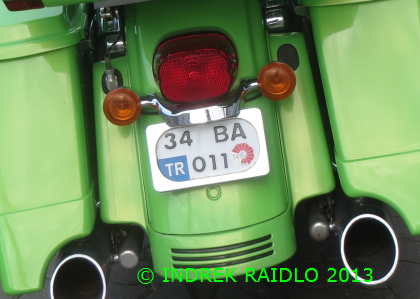 61=Trabzon. COMMENTS:normal series since 1962. Serial of two letters and three numerals since 1962. Optional blue band with letters TR since 1996. 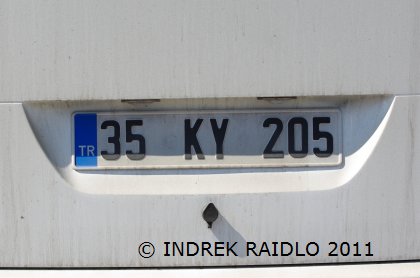 35=Izmir. COMMENTS: normal series since 1962. 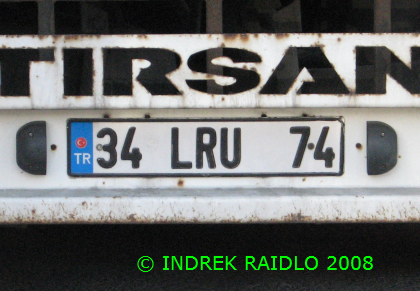 Serial of two letters and four numerals since 1997. Optional blue band with letters TR since 1996. 34=Istanbul. COMMENTS: normal series since 1962. 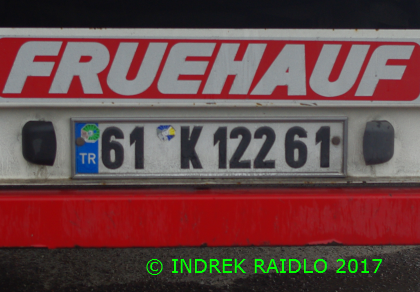 Serial of three letters and two numerals since 1985. Optional blue band with letters TR since 1996. 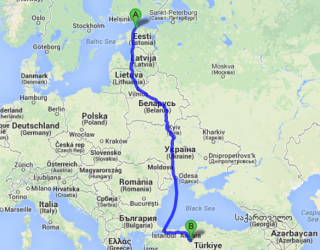 34=Istanbul. COMMENTS: normal series since 1962. Motorcycle format. Optional blue band with letters TR since 1996. 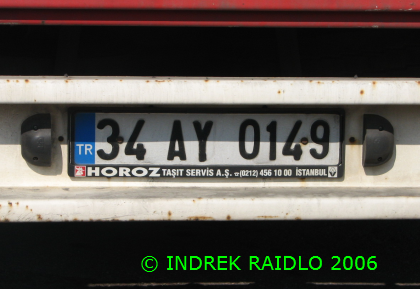 34=Istanbul.